Brewer Description: (from can) Inspired by a trip to the west coast, designed to capture the wild spirit of adventure and brewed to be enjoyed with friends. 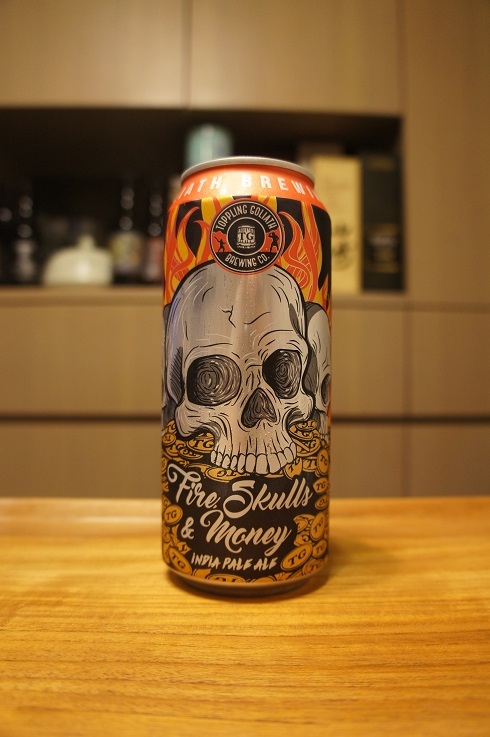 This rich IPA is for those with wanderlust in their hearts and fire in their eyes. Join our Citra, Mosaic, Galaxy & Nelson hops on a journey to the bottom of your glass. Intro: A 1 pint can, canned on 3rd January 2019 and with a best by date of 3rd May 2019. Poured into a Lost Abbey teku glass. Appearance: A hazy golden orange colour with a two finger white head that had great retention and left nice sticky lacing. Aroma: Citrus rind, grapefruit peel, pineapple, mango, peach, orange and a dash of onion. Taste: Light to moderate bitterness, grapefruit, citrus zest, light sweetness, mango, peach, apricot and a touch of dank pine. Overall: Very nice and balanced NEIPA with a touch of West Coast in it. Just really great and easy to drink. 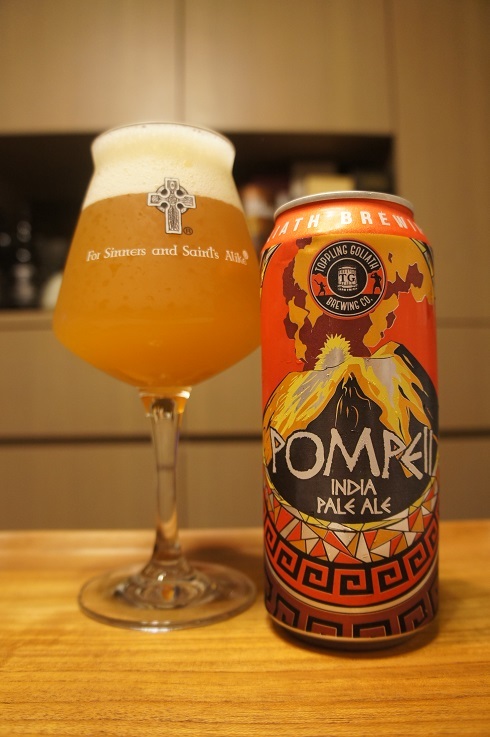 Brewer Description: (from can) This India Pale Ale is brewed with the same attention to detail as the beautiful mosaics that graced the walls of prominent buildings in the city of Pompeii. It features mango and pineapple hop flavors with a medium-bodied feel to tantalize the senses. Intro: A 1 pint can, canned on 28th December 2018 with a best by date of 27th April 2019. Poured into a Lost Abbey teku glass. Appearance: A hazy golden orange colour with a nice two finger white head that had pretty good retention and left some nice lacing. Aroma: Citrus pith, orange zest, grapefruit, onion with hints of mango. Taste: Bitter, grapefruit pith, citrus zest, grass with a sweeter finish of orange juice, pineapple and mango. Mouthfeel: Medium to light bodied with moderate to high carbonation. Overall: Nice easy drinking IPA that is solid. 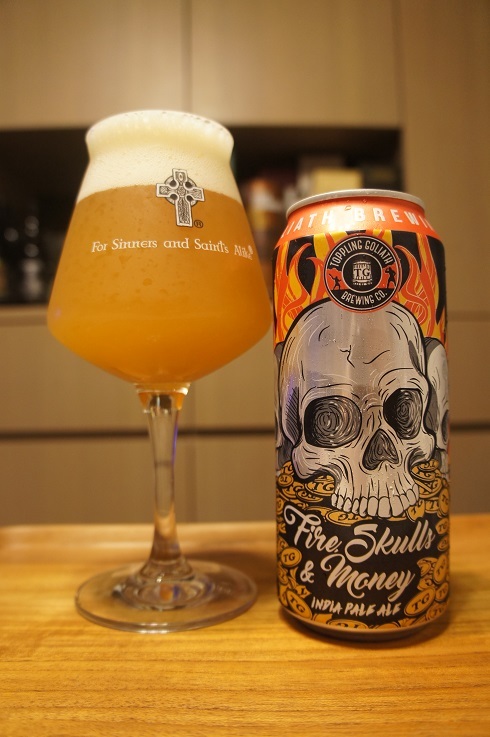 My 100th beer review, and I’ve saved a great beer to celebrate this. Other Notes: 50 IBUs. Brewed by Toppling Goliath Brewing Co., Decorah, IA under special agreement with Brew Hub, Lakeland, FL. Brewer Description: (from bottle) This single hop pale ale showcases the Citra hop for a well balanced beer that is delicate in body with a mild bitterness in the finish. 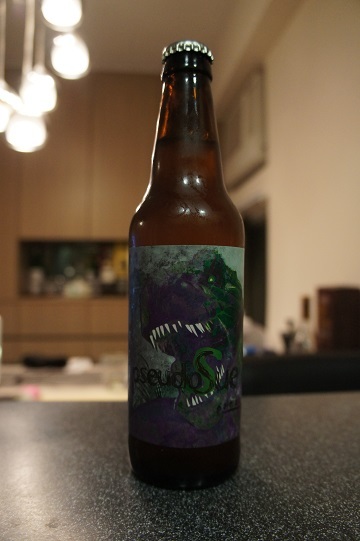 Ferocious aromas of citrus and mango give way to pseudoSue’s unique and refreshing taste that is clean and bright with just enough bite! 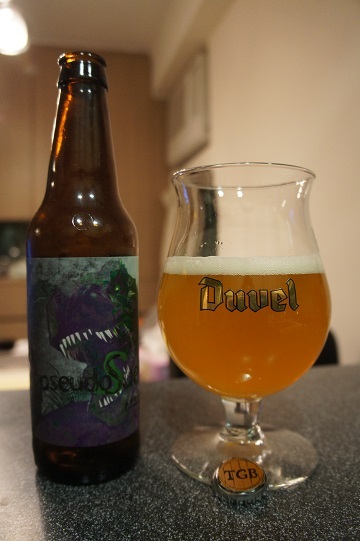 Intro: A 12 fl oz bottle bottled on 15th June 2015 and poured into a Duvel tulip glass. Appearance: It poured a slightly hazy golden orange colour with a one finger white head that fades fairly quickly to a thin foamy layer but leaves lots of nice spotty lacing. Aroma: A nice mix of citrus and tropical fruits with orange, lemon, grapefruit, passionfruit and mango. There are hints of pine here and there. Taste: Starts off tropical with mango and passionfruit leading the way in addition to hints of peach and apricot along the way. The finish is a nice lightly bitter grapefruit and orange pith. The balance between sweet and bitter here is perfect. Mouthfeel: Dry, crisp, light to medium bodied with mid to high carbonation. Overall: I loved it. 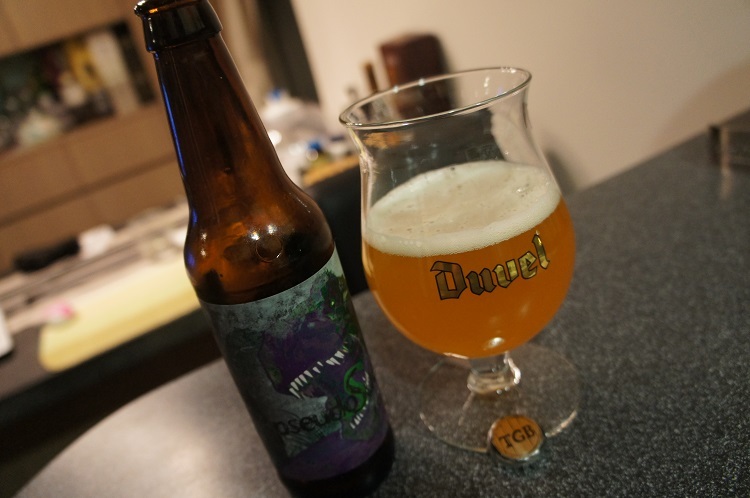 Lived up to its hype and is in my opinion better than Zombie Dust. I really need to find more of this must buy beer. Brewer Description: (from bottle) This seasonal pale ale was crafted with a perfect mixture of Millennium hops and Falconer’s flight blend. 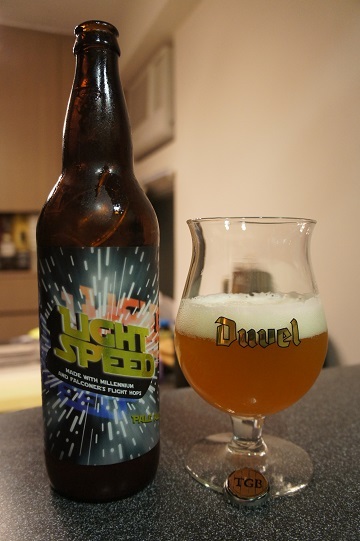 Inviting orange aroma and hints of lemon flavor in this medium-bodied beauty will make you want to drink yours at light speed! Intro: A 22 fl oz bomber with a bottled on date of 7th July 2015. Poured into a Duvel tulip glass. Appearance: Poured a cloudy golden orange colour with a one finger white head that had good retention and nice stringy lacing. Aroma: Strong tropical fruits especially mango, pineapple and peach with hints of grass and citrus fruits like grapefruit and orange pulp. 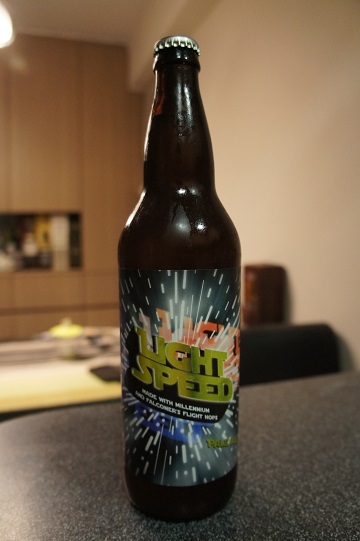 Taste: Hop-forward for sure, but very tea like at the same time. Its like a bitter and citrus (orange and lemon) tea with hints of bready malts. Mouthfeel: Light to medium bodied with light carbonation (too light in my opinion). 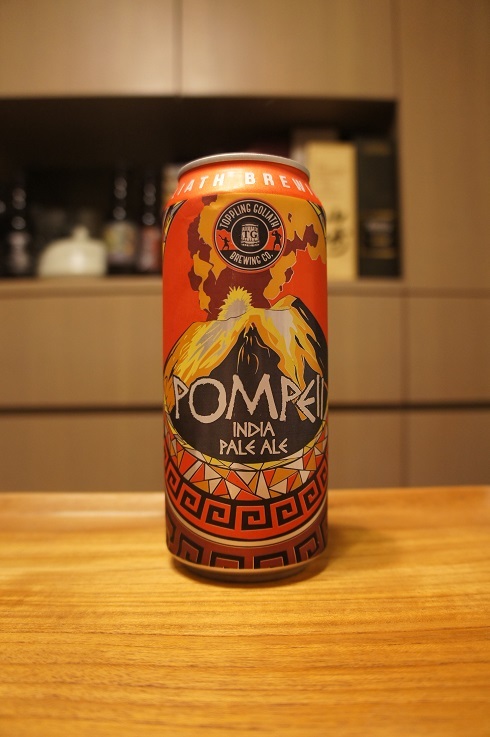 Overall: A great pale ale that is very easy to drink. It kind of reminds me a bit of tea and makes it interesting. The only thing is that I would have preferred more carbonation in it although this may take away the interesting tea like feel that I currently get. Other Notes: 56 IBUs. Malt – Golden Promise. 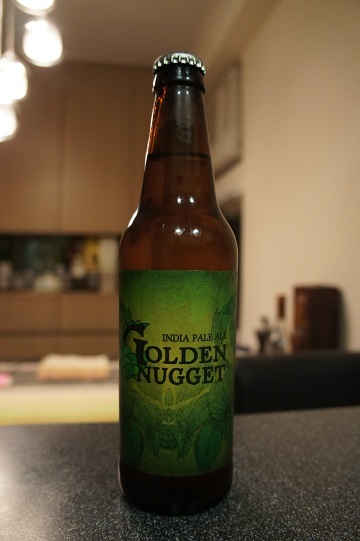 Hops – Nugget. 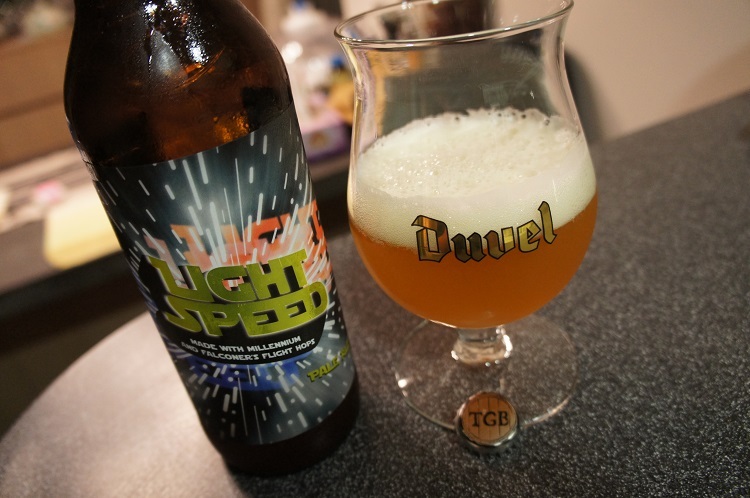 Brewed by Toppling Goliath Brewing Co., Decorah, IA under special agreement with Brew Hub, Lakeland, FL. Brewer Description: (from bottle) A winning combination of Golden Promise malt and Nugget hops, this IPA delivers a bouquet of hop, citrus and evergreen aromas, followed by a floral sweetness. Bold, hop-forward taste captivates the senses, leaving behind a pleasant bitterness that lingers in the finish. Intro: A 12 fl oz bottle bottled on 30th June 2015 and poured into a Spiegelau IPA glass. Appearance: Poured a slightly hazy golden orange colour with a two finger creamy white head that had good retention and nice lacing. Aroma: Rich tropical fruits especially mango, pineapple, peach and apricot with a hint of sweet citrus like mandarin. Taste: Light tropical mango upfront which gives way to sweet caramel malt and sweet citrus mandarin before ending with a light grapefruit peel bitterness finish. Mouthfeel: Sharp, crisp, medium bodied with mid to high carbonation. Overall: A very solid IPA with great aromas. Taste was sweeter than I expected and I prefer more bitterness in my IPAs, but this was still very good.